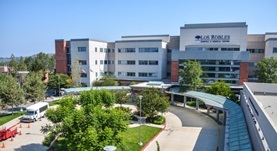 Dr. Gholam Mohammadzadeh is a thoracic and cardiac surgery specialist in Thousand Oaks, California and he works at several hospitals in the area, including Medical Center and Providence Tarzana Medical Center and Los Robles Hospital. He received his diploma from Rush Medical College and did his residency in General Surgery at University of Michigan Hospitals and Health Centers and Emory University. Dr. Gholam Mohammadzadeh also completed a fellowship in Thoracic Surgery at the University of California San Diego. The doctor is certified in Thoracic and Cardiac Surgery and has an experience of more than 20 years.